The Cubs are going to trade Emilio Bonifacio. Per the reports, that may come way sooner than later, as multiple sources around the Cubs have said that a deal is very close. The Orioles, Giants, Royals, Reds, and Mariners have been tied to Bonifacio as recently as this past week. If I had to guess, I think Bonifacio will be dealt to the Orioles, stay tuned. The Cubs signed Bonifacio rather close to the start of the 2014 season, and has provided all sorts of value all over the field. If the Cubs can turn Bonifacio into something tangible moving forward that would be a big win for the organization. In a bit of a surprising move, the Cubs have acquired LHP Felix Doubront from the Red Sox for a player to be named later. 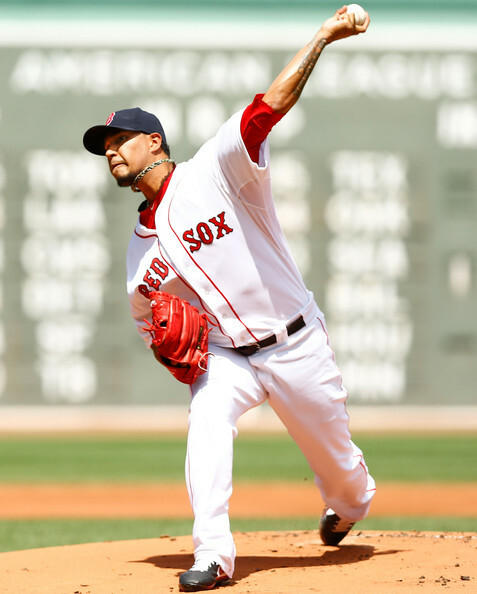 From multiple reports, including one out of Boston from CSN, the Red Sox were not expected to get much for Doubront. Another report has the teams holding off on naming the player to be named later until after the Rule Five draft. Doubront has recently voiced his displeasure with the Red Sox organization, so the writing was on the wall. The Cubs jumping up to make a deal for him is the surprising part, as the Cubs are in full sell mode, and this is a player that has the potential to help now. Doubront has struggled this year and was demoted to the Sox bullpen just recently, probably one of the reasons why Doubront was unhappy. Before this year, Doubront won eleven games for the Red Sox in back to back seasons, while posting an ERA of 4.86 in 2012, and 4.32 in 2013 while helping the Sox win the World Series. I think that the Cubs want Doubront back in the rotation, and he could be a solid contributor once Bosio gets his hands on him. It’s back! Hopefully for good, technology can be a real…. you know what..
A huge night for the Smokies hitters in this one, as eight of the nine starters had at least one hit, and seven of the nine starters had at least one RBI. Albert Almora finally had his break out game for the Smokies. Almora was 4-for-6 with a double, two RBI’s, and three runs scored. Addison Russell continued his torrid pace of late, he went 4-for-6 as well, with a double, an RBI, and a run scored. Lars Anderson showed off his power in this one, he was 1-for-3 with a home run, two RBI’s, two walks, and two runs scored. Dustin Geiger had himself a game, he was 2-for-2 with a double, three RBI’s, three walks (CUBS WAY! ), two runs scored, and a stolen base. Eduardo Figueroa did just enough to walk away with the win, he worked six innings, giving up five runs on four hits, while walking three, and striking out four. Zach Cates also had to battle while not having his best stuff, he worked 1.2 innings, giving up two runs, on three hits, while walking one, and striking out two. Frank Batista shut the door on this one, picking up his eighth save, he worked 1.1 innings, giving up one run on three hits, while striking out one. It was the Juan Paniagua show in Daytona last night, as the recently promoted right hander twirled a gem as he picked up his first High A victory. Jacob Hannemann has really performed well since being promoted to Daytona, he was 1-for-3 with a double, two walks, a stolen base, and two runs scored in the win. Willson Contreras had a big night, he was 3-for-5 with a double, and two RBI’s. Billy McKinney just hits, that is all he has done since being acquired in the Hammel/Samardzija trade with Oakland. He was 2-for-5 with a double, and two RBI’s, he’s now hitting .312 on the season. Gioskar Amaya had another solid night out of the nine hole, he was 2-for-3 with a walk, and a run scored. Juan Paniagua was dominant in this one, he worked six scoreless innings, giving up two hits, while walking two, and striking out six. Tyler Bremer was brilliant out of the pen, he worked two scoreless innings, while striking out two. Austin Kirk mopped things up in the ninth, he worked a scoreless frame, while giving up one hit, and striking out one. The Cougars lost…… at…..home….. I know, it totally doesn’t feel natural, like the Universe is out of tilt, I think we’ll survive. 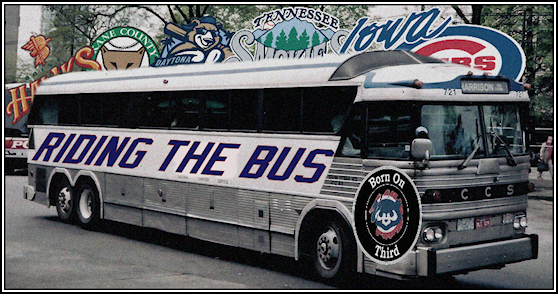 The two best teams in the Midwest League went toe-to-toe, and the Whitecaps came out on top. Shawon Dunston is heating up, he went 2-for-5 with two doubles (12 on the year), and an RBI. Will Remillard was one of the few Cougars to get on base multiple times, he went 1-for-3 with a walk. Duary Torrez did everything he could to keep his team in the game, he finished his night with a no decision. Torrez worked six innings, giving up one run on five hits, while walking one, and striking out four. Michael Heesch struggled with his command in this one, he worked three innings, giving up one run on two hits, while walking three (see? ), and striking out three. 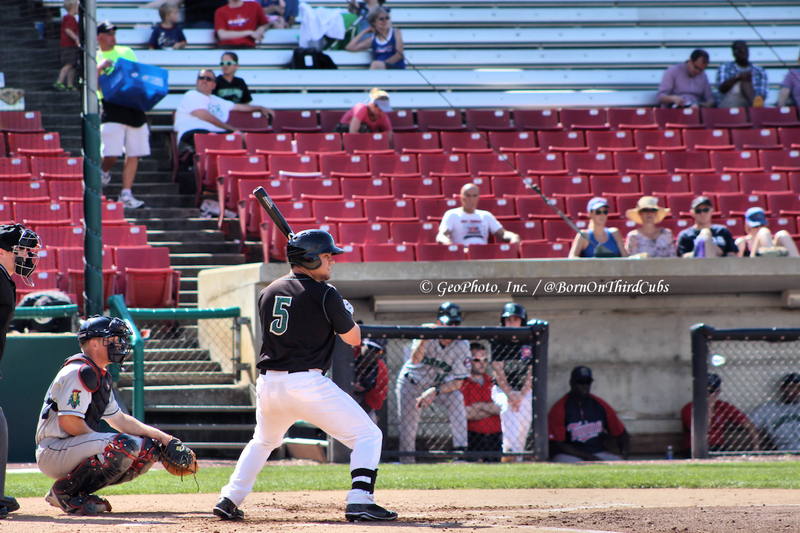 The Boise Hawks just couldn’t get the bats going in this one, as they could only manage one run on five hits in a 6-1 loss to the Hops. Danny Canela was one of the few Hawks to find some success, he was 1-for-4 with a double, he’s now hitting .281 on the season. Danny Lockhart, David Bote, Jesse Hodges, and Bryant Flete all had one hit in the loss, all singles. Trevor Clifton got the start for the Hawks, and struggled throughout as he suffered his second loss of the season. Clifton worked 3.2 innings, giving up five runs, four earned, on six hits, while walking four, and striking out three. Yomar Morel didn’t have much luck either out of the pen, he worked 1.1 innings, giving up one run on two hits, while walking one, and striking out one. Tommy Thorpe was brilliant, he worked three perfect innings, registering two strikeouts. Plenty of offense for the Cubs in this one, unfortunately the pitching was lacking. The D-backs pounded out twelve hits en route to a 12-6 victory over the Cubs Arizona League squad. Kevonte Mitchell can swing it, he was 3-for-5 with a stolen base, an RBI, and two runs scored, he’s now hitting .317 on the season. Gleyber Torres is someone you will be hearing a lot about moving forward, he was 3-for-4 with a triple (2nd of the season), a walk, two RBI’s, and a run scored. Roney Alcala had a solid game near the bottom of the order, he was 2-for-4 with a double, and a run scored in the loss. C.J. Edwards was back on the mound as he continues his rehab, and he was pretty good. Edwards worked 3.2 innings, giving up one run on one hit, while walking three, and striking out six. Adbert Alzolay struggled out of the pen, he worked one inning, giving up four runs on three hits, while walking one, and striking out two. Alberto Diaz couldn’t find the plate, and he paid for it. Diaz worked only a third of an inning, giving up three runs, two earned, on one hit, while walking four (see? ), and striking out one. Tanner Griggs was also beat up, he worked 2.1 innings, giving up four runs, three earned, on six hits, while walking two. Andin Diaz was solid, he worked 1.2 scoreless innings, giving up one hit, and striking out two. 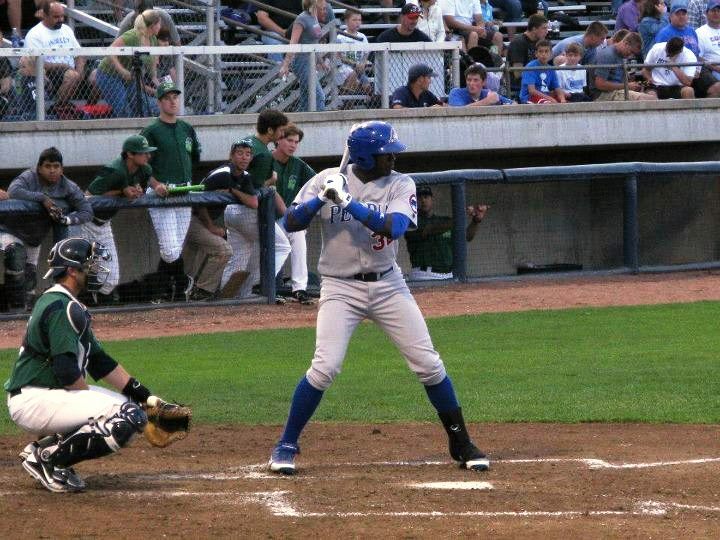 Soler’s first full week in Iowa came to a close with a bang yesterday as he destroyed a two run homer to dead center. Soler has had a solid start at the AAA level, and could be the first of the big Cubs prospects (Not named Alcantara) to reach Wrigley Field this year. Things are getting very interesting… The Cubs have announced that Jorge Soler is being promoted to Iowa, and Albert Almora is being promoted to Tennessee. The Cubs prospects are getting closer and closer to the Majors, and I’m not even talking about Kris Bryant, or Javier Baez, or Addison Russell… the light at the end of the tunnel is the brightest it has been since the building started. Bryant, Soler, Baez…. all in the same lineup at Iowa. Almora joins Russell in Tennesse… exciting days ahead! Last night was just about perfect. With no major league games on the schedule, the baseball World had its full attention on the Minor Leagues, and the Cubs’ kids put on quite the show. 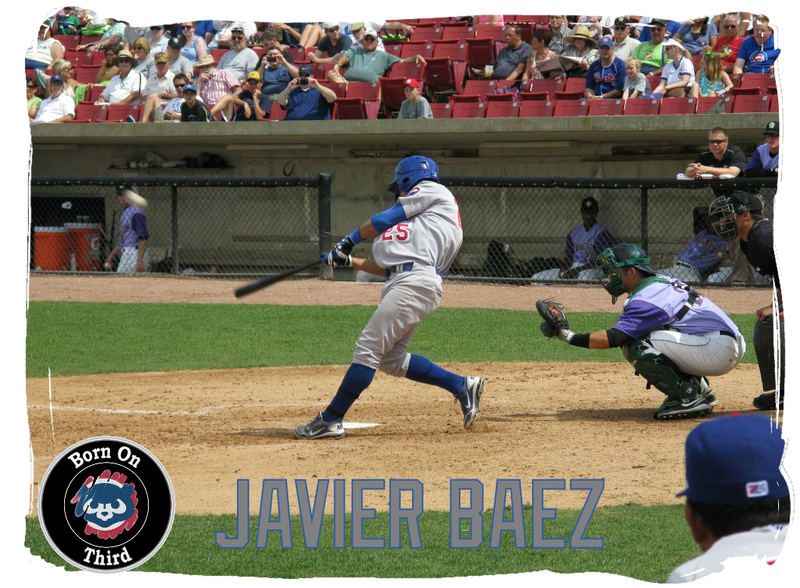 Of course Javier Baez was involved, he hit an absolute monster shot. Kris Bryant went deep earlier in the same game, pure power. Jorge Soler, who has assaulted Southern League pitching also went deep last night, I’m pretty sure that’s why the game wasn’t televised, MILB didn’t want kids watching that massacre. Addison Russell also smacked a home run, are you sensing a theme here? Christian Villanueva went deep for the Smokies as well, everybody freak out! Not to be undone, down in Daytona, Dan Vogelbach also crushed a home run. So if you have lost count, let’s recap! I’m sure there will be continued exciting nights at the minor league level, and soon enough this kind of excitement will be at the major league level. I can’t wait. Boom! Kyle Schwarber has been a professional baseball player for about a month, and all he has done is hit. He started with the Boise Hawks, he played five games there and hit .600 with four home runs, and ten RBI’s in twenty-four plate appearances. Then came Kane County, Schwarber played in twenty-two games hitting .380 with four home runs, and fifteen RBI’s in ninety-two plate appearances. The grand totals so far? .424 average (42-for-99), eight home runs, twenty-five RBI’s, nine doubles, one triple, thirteen walks, eighteen strikeouts, and an OPS of just 1.278. As you can see by the tweet above, Schwarber is moving on from Kane County, and the report is that he is heading to High A Daytona. That is excellent news as this is the second straight season that the Cubs first round pick will see the high A level, Kris Bryant did it last year. This is very good news, and exciting as well. Good luck, Kyle!